Terrorism and counter-terror operations threaten to keep the team from leaving the relative safety of Baghdad, until a former USAF Special Tactics operative hunting the men who want to kill them is assigned to be their protector. Provincial and regional stability stand in the balance as the simple questions posed during a tribal council explode into a clash of loyalty, faith, schism, and betrayal. The outcome will shape the future of two nations. “Anvil” has ranked as the Amazon No. 1 Free Bestseller in Political Fiction six times and has been rated in the top fifth of the first percentile of titles in Political Fiction as sorted by average customer review. approx. 98,600 words / 333 pp. In full release on December 17, 2011. AOTC RE, out on March 21, 2015, is offered as a free download where available. As the 2008 troop surge fully engages the insurgency in Iraq, a vengeful terrorist intends to take the fight to America. He begins with the State Department team who helped turn the tide in Al Anbar Province. Simultaneous strikes on targets abroad and stateside deliver the message nothing is forgiven. Rumors surface of pending attacks intended to impact the will of a wavering public. The State Department and military personnel closest to understanding the intent of the attackers come together in an attempt to find and stop those already responsible for wreaking domestic havoc. A terrifying plot of revenge is uncovered targeting not only individuals, but the sense of security for an entire nation. 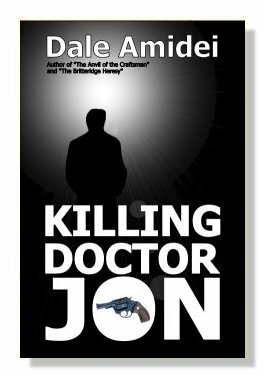 Jon Anthony is disturbed to discover the only thing able to distract his pursuers from the plot is an intense desire to see him die. The momentum of a nation’s war effort will hinge on offering himself as bait for a vicious enemy. Approx, 85,400 words / 283 pp. print length. In full release on August 11, 2012. Jon Anthony’s unwilling celebrity and outspoken personal beliefs continue to outrage his enemies at home and abroad. Pursuant to a fatwa against Anthony, Islamists leverage the fortune of an Oil Minister in a bid to avenge an outrage against the true faith. Nominally Christian extremists stateside become unwitting allies of a global strategy by a bitter foe. After life-changing attacks at home and armed only with his faith, Jon Anthony wages a personal crusade against those whom he holds responsible. Circumstances take Anthony back to the Middle East to pursue a final showdown as he encounters old friends and unlikely allies along the way. At stake is his life, along with the political stability of the Arabian Peninsula. Approx. 84,500 words / 279 pp. print length. In full release on March 22, 2013. In 1991, the military declares an Air Force pilot missing in action and presumes him dead after a rescue effort locates his devastated F-15 in the Iraqi desert. Three years later, a chance encounter ignites a crisis of conscience in a conflicted Iraqi veteran. Washington becomes aware of a politically lethal possibility: that an American remains the prisoner of the ruling Ba’athist regime. Once the SpecOps unit assembled to investigate confirms the truth, they face the same question as did their chain of command in 1991—is the life of one man worth the risk of losing many more? The honor and commitment of elite operators weigh against the consequences of a failed mission: classified deaths, and the responsibility for provoking another conflict in Iraq. The goal becomes straightforward if not simple: deliver the message that in dealing with those who ignore the rules of war, there are no rules. Approx. 83,100 words / 282 pp. print length. In full release on December 28, 2013. Where does a man’s strength originate? In 1991, within the time frame of the short, brutal air war above Iraq, two men unknowingly discover the same answer during an intense CSAR (Combat Search And Rescue) operation. 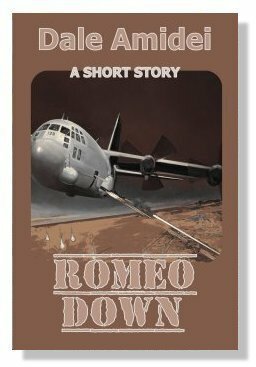 A short story, “Romeo Down” is an account of the action resulting in the award of Daniel Sean Ritter’s first Silver Star. 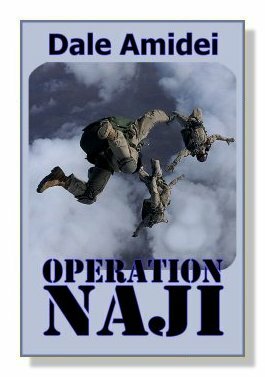 Alluded to in dialogue within the first novel of Sean’s File: Operation Naji, this episode stands alone as a spoiler-free companion volume to that title. In release November 9, 2014 and offered as a free download where available. 2015 Best of the Independent eBook Awards: Romeo Down was honored as Best Short Story. The “intel” game is changing; international intelligence entities react to the growing influence of an emergent private sector effort. The USIC’s Director of National Intelligence assigns Dr. Rebecca Boone Hildebrandt, a case officer empowered to take any necessary action, to safeguard the firm’s growing data store. Strikes, targeting key company players, force suspending operations in securing corporate infrastructure and remaining personnel. The agent responsible for covertly shepherding InterLynk responds to attacks targeting her principals; to counterbalance an attempted hostile takeover of the private company, Boone gathers her own assets: no strangers to direct action. Ranging from Switzerland through New York City to the Russian forests, the resulting covert conflict pits committed professionals from the spectrum of international intelligence against equals. The prize: technology housing intelligence that could reverse the balance of power between East and West. Approx, 83,900 words / 288 pp. print length. 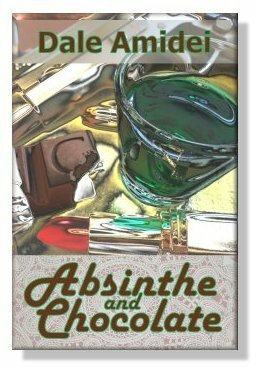 2015 Best of the Independent eBook Awards: Absinthe was honored as Best Thriller. This series lead title is now a free download through most venues. A Chinese dissident, targeted by his government for assassination, flees to asylum in Paris through a joint effort of the U.S. Office of the Director of National Intelligence and Peter McAllen’s InterLynk. 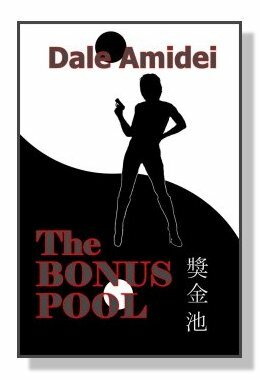 A rogue intelligence agent, now freelancing, accepts Beijing’s contract to eliminate the man as a threat to Communist regional control. It is an opportunity to damage McAllen’s organization in the process. A pool of InterLynk contributors is exposed, and the life of a man capable of changing the spiritual direction of the world’s largest authoritarian regime is on the table. His guardian and her allies must match wits with a ruthless adversary. Approx. 87,000 words / 298 pp. Boone, now a former covert operative, looks forward to a fulfilling marriage, new career, and brighter days. Investigative journalism by one of her country’s most prominent news personalities, however, begins to unravel a thread of actualities thought to have been classified out of existence. Political players also seek to uncover Boone’s past actions: now threats to her new life. 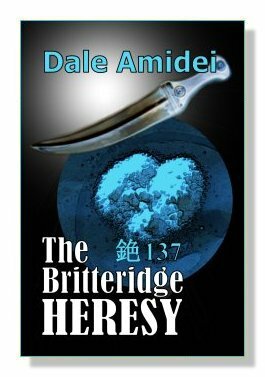 When not only Boone’s people but the servants of the ill-intended and powerful are targeted for elimination, the result is an undeclared war between the keepers and the kept. Forced back into a high-stakes game against international players, she will need to call on all her resources in order to defend those whom she loves against two of the world’s most powerful men. Glad I took a look at your titles. Thanks for stopping by, Nike! So many layers of internal conflict. 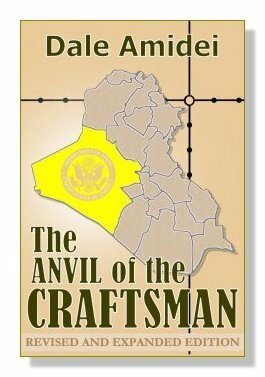 I’ve read all of the Boone fictions (save the one coming up) and reading the Anvil of the Craftsman now. Sigh. You’re awesome. Who’s awesome? -You’re- awesome! Thanks for the kind words.